But now my kids have had these homemade ones and they're hooked! 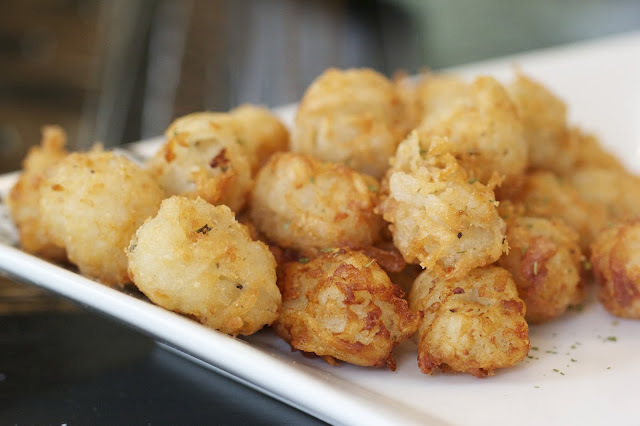 They're really pretty simple to make and if you make a big batch, you can even freeze them and pull them out whenever you have that tater tot craving late at night. The Virtual Potluck group teamed up with the Idaho® Potato Commission to come up with some great potato recipes for you. Be sure to check them all out today! 1. Place the potatoes in a pot and cover fill with cold water until it covers the potatoes by 1 inch. Bring the water to a boil and cook for 7-8 minutes. The potatoes will just be partially cooked at this point. Drain the water and cool completely. 2. Using a box grater, shred the potatoes. 3. In a large bowl, combine the potatoes, flour, garlic powder, onion powder, oregano, cheese, salt and pepper. Stir to combine. 4. Form the potatoes into tots using a about a tablespoon of the mixture for each one. The mixture will be fairly sticky at this point. 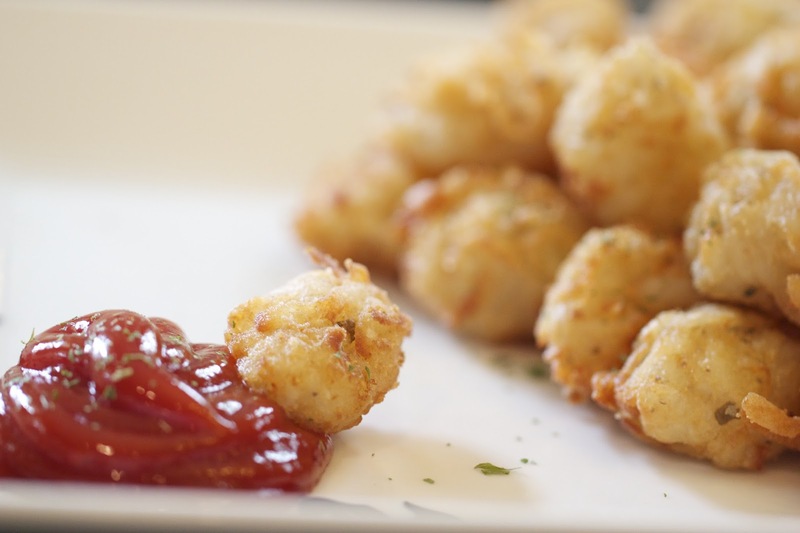 Form each tot and place it on a parchment lined baking sheet. 5. Place the sheet in the freezer for approximately 30 minutes. 6. Remove from the freezer and form the tots into a harder ball. 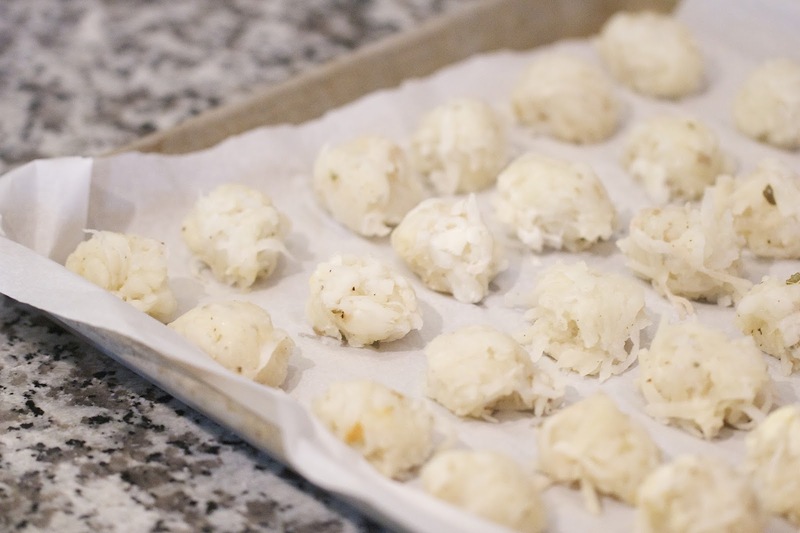 Roll each tot in the all purpose flour and place it back on the parchment. 8. Add the tots to the skillet, about 5-7 at a time and cook until evenly browned and crispy, about 4 minutes. Time Saving Tip: The tots can be frozen for later use! Make a double batch and freeze them after Step 6. Then just throw them in the fryer whenever you want some fresh tots. Disclaimer: I was compensated for this post with the Idaho Potato Commission. However I love Idaho Potatoes and all opinions are my own! I love how easy these are too make! 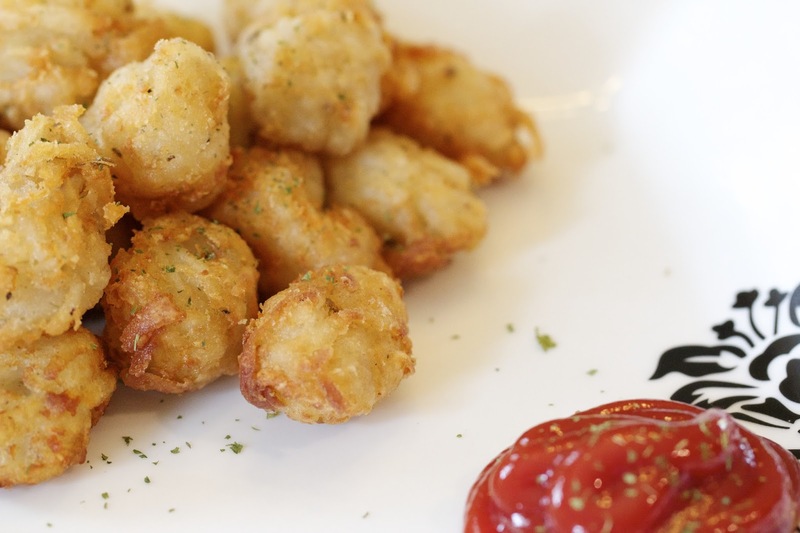 I love tots, but don't eat them very often. Can't wait to try making my own! Bet you kids devoured these! I would too! Look terrific! This is full of ingredients I love! Cheese and Tater Tots. This would be the perfect breakfast or dinner. We enjoy having breakfast for dinner about once a week.